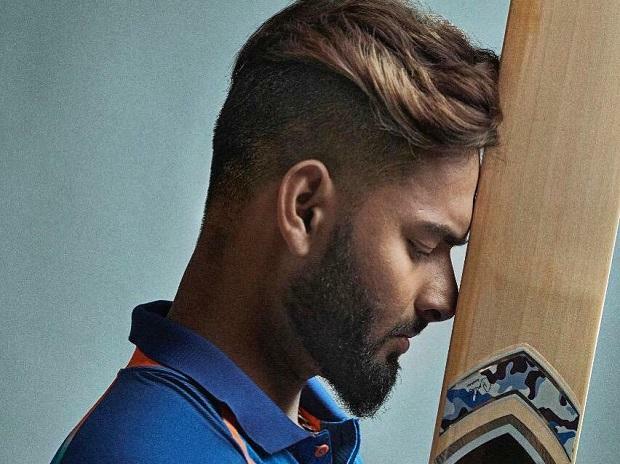 India vs New Zealand 1st T20 preview: Will Pant find a spot in playing 11? After clinching the five-match One-Day International (ODI) series, a confident India cricket team under the captaincy of Rohit Sharma will aim to carry the momentum to the three match Twenty20 International (T20I) series when they face New Zealand in 1st T20 match at the Westpac Stadium in Wellington on Wednesday. As India will be eyeing their first T20 series win in New Zealand, it will be interesting to see whether Rishabh Pant get a place in India playing 11 for the opening T20 match. Who will pave the way for Rishabh Pant? The five-match ODI series has solved a part of the puzzle as India look to finalise their ICC World Cup 2019 squad. But there are still a few spots up for grabs and the T20 series can help the Indian team management zero in on the squad for the mega event in England in May-July. Young wicket-keeper batsman Rishabh Pant, who was not part of the ODIs, returns hungrier and sees this as a big opportunity to stake a claim for a World Cup spot in the upcoming three T20s. Following the high of the Test series Down Under, another stellar showing might just convince the selectors to include Pant in the final-15. Can MS Dhoni prove his mettle in T20 after dropped against Australia T20 series? India’s legendary wicket-keeper Mahendra Singh Dhoni is back in the T20 mix after being omitted from the series against Australia in 2018 and his performance will also be keenly followed. He last played a T20 in July. The 3-match T20I series is also an opportunity for Dinesh Karthik, who has done well as a finisher but is still not a sure starter in the playing 11. Ambati Rayudu grabbed his chance with a match-winning 90 in the fifth ODI, probably enough to seal a place in the middle-order. Nineteen-year-old Shubman Gill showed glimpses of his much talked about talent in the final two ODIs but did not allow himself to settle in his debut series. In Kohli's absence, he might get to bat at number three again. In the bowling department, India will miss the services of pacer Jasprit Bumrah, who has also been rested. Pacer Bhuvneshwar Kumar will lead the pace attack which comprises of Mohammad Siraj, Siddarth Kaul, Khaleel Ahmed and all-rounder Hardik Pandya. The spin department will consist of chinaman Kuldeep Yadav and Leg-spinner Yuzvendra Chahal. Part-time spinners Kedar Jadhav and Krunal Pandya might come into the picture as well. New Zealand cricket team will be looking to turn things around after losing the ODI series 4-1. They do hold an upper hand over India in the shortest format. They beat India 2-0 in the 2008-09 in the sole bilateral series played on New Zealand soil till date. The Black Caps edged the sub-continental side 1-0 in a two-match away series in 2012 before losing 1-2 in India in 2017-18. The ball swung initially at the Westpac Stadium during the 5th and final ODI. The teams look to chase in Wellington as in eight of the nine matches, they choose to field first after winning the toss. India vs New Zealand 1st T20 match will be available live on Star Sports 1 HD, Star Sports 1 in English Commentary and Star Sports Hindi HD in Hindi Commentary. One can also live stream the 1st T20 on Hotstar app and website. India T20 squad: Rohit Sharma(c), Shikhar Dhawan, Rishabh Pant, Dinesh Karthik, Kedar Jadhav, MS Dhoni, Krunal Pandya, Kuldeep Yadav, Yuzvendra Chahal, Bhuvneshwar Kumar, Siddarth Kaul, Khaleel Ahmed, Shubman Gill, Vijay Shankar, Hardik Pandya, Mohammad Siraj. New Zealand T20 squad: Kane Williamson(c), Doug Bracewell, Colin de Grandhomme, Lockie Ferguson, Scott Kuggeleijn, Colin Munro, Daryl Mitchell, Mitchell Santner, Tim Seifert, Ish Sodhi, Tim Southee, Ross Taylor, Blair Tickner, James Neesham.